Another apple butter stack cake. This is an old fashioned cake that I grew up eating during Holidays & family gatherings. . 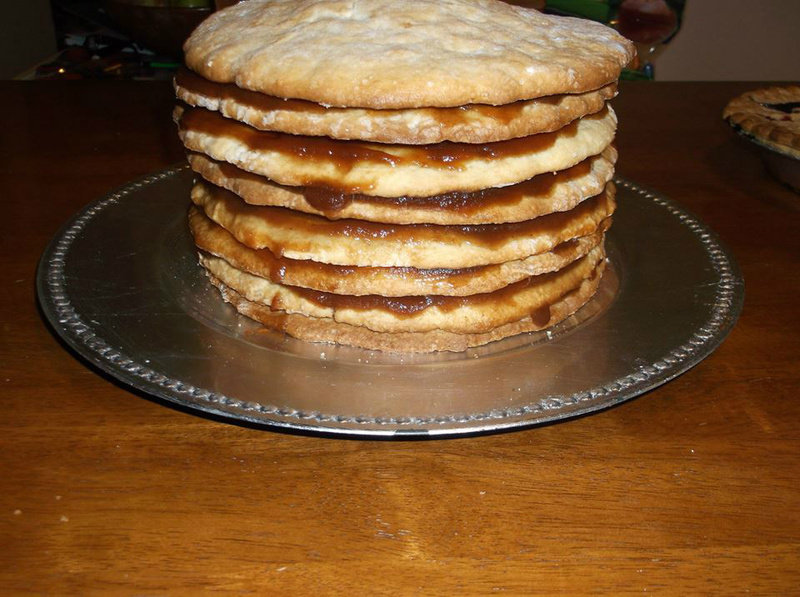 The cake is made from large buttery cookie type dough that absorbs the apple butter that is between each layer. 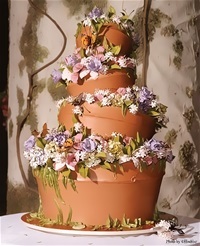 This cake is best if eaten at least 2 days after it has set.